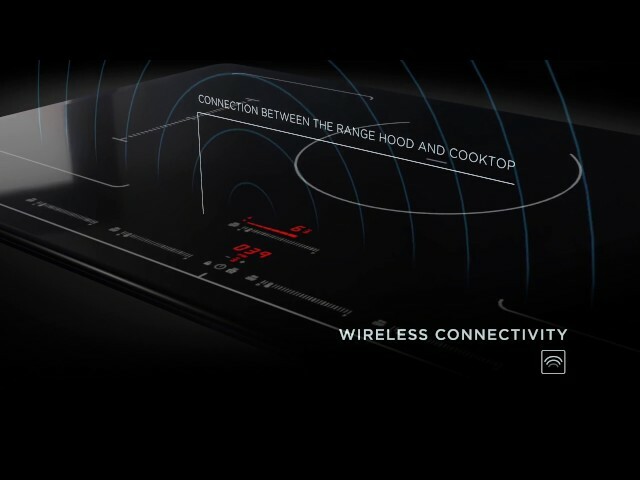 Black glass and polished stainless steel in its island version, like all of the hoods in the Elica TECHNE PLUS line, also Meteorite Island is meant for anyone who loves high-technological solutions, where Elica hoods and cooktops, automatically communicate with one another, recognizing quality and quantity of cooking vapors, thus accordingly adjusting performance levels. With Perimeter Aspiration technology helps achieve Top Performance by delivering more powerful and efficient fume extraction plus it reduces noise. Meteorite ISLAND includes a powerful 550 CFM blower, Strip LED lighting and tunable white with glass capacitive touch controls.